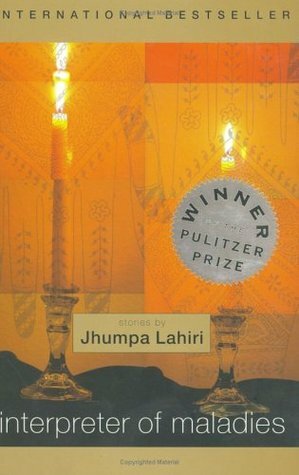 The Interpreter of Maladies is a collection of short stories by the Indian American author Jhumpa Lahiri that was first published in 1999 and won the Pulitzer prize in 2000. I enjoyed the last short story the most – The Third and Final Continent. It is about a Bengali, who has lived in United Kingdom, just gotten married in Calcutta to a girl that his parents arranged for her, and has just moved to USA and is trying to adjust there before his wife will come there as well. Yes, it’s because of the food – eating the same thing over and over again, and the food being something that is generally considered breakfast food. I’ve seen that. I’ve done it myself. And it reminded me of the movie Wake Up Sid, only the part where Sid is staying in the apartment and not being happy at all because he doesn’t know how to cook and hasn’t eaten the whole day… Although the main character in the story does know how to cook, but for a while he simply lacks the necessary equipment for cooking, but when his wife arrives from India, he cooks egg curry, and later she starts cooking for him and he isn’t used to that kind of thing. So in general I liked the stories. I haven’t had dinner yet, so I’m focusing on the eating and cooking themes here, but there were others like being far away from family and friends who are in a war-zone and hence in danger and one can do nothing to help. There’s also the sadness of a couple drifting apart and getting a little bit closer again, but all for the sake of an even bigger blow to the relationship. 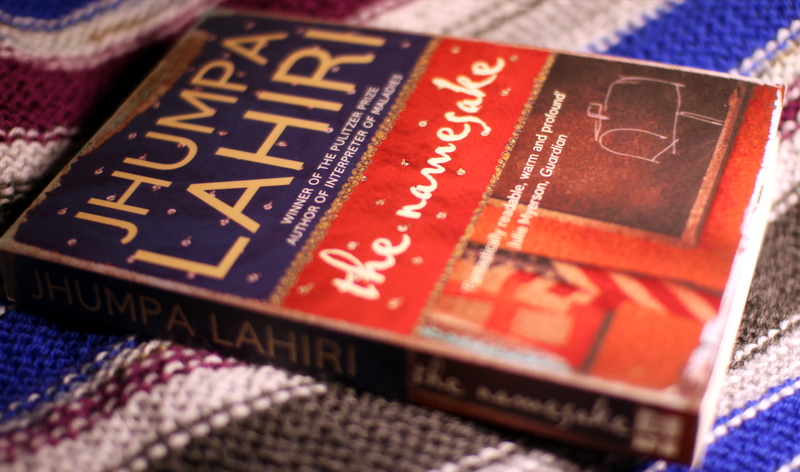 For a review of Jhumpa Lahiri’s first novel The Namesake (2003) see here. It is slightly difficult to put it into words what this book is like. For most of the time when I was reading it I just would have wanted to see it all as a sort of doll-house and just grab the characters and send them somewhere where they’d all be happy and just eliminate some of the others. “The Namesake” is about the life of Gogol Ganguli, an American born to a Bengali family named Gogol after the famous Russian writer Nikolai Gogol. For about half of the book the name “Gogol” is the main problem. Not to me. To Gogol and a little to his parents in the beginning as well. The book starts with Ashima Ganguli’s pregnancy. So I found the book quite sad and a little depressing. It is good though, but the people seem a bit ghostly and out of touch with the world around them just because of not quite fitting in. Finally! That’s what I was expecting all along, and now he finally has the time! But still the book is sad. Surprisingly I couldn’t really understand Gogol, I felt closer to Ashima and Ashoke they seemed a lot more relate-able… The novel goes from Gogol Ganguli’s childhood and schooldays to his life at the university and later as an architect all the way until he’s 32, that’s when the book ends. But in between there’s marriage and death and divorce and all sorts of complicated things. And there’s a movie that was made based on the novel! I have yet to see it, but the trailer seems fine and IMDb rating is 7.4.